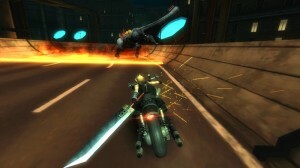 Today Square Enix announced a standalone version of the motorbike minigame from FFVII coming to mobile devices. FINAL FANTASY VII G-BIKE will be available for free download with in-app purchases on iOS and Android Devices. No release date has been confirmed for the title at this time. I’d rather have them announce a sequel but I guess this is nice too. Looks pretty awesome, to be honest. This looks beautifully done. It’s not the sequal to Dirge of Cerberus, but it’s close enough. 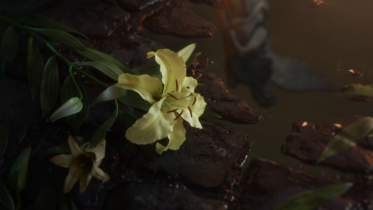 Hopefully this is another clue to at least(hopefully) one more chapter to the Final Fantasy VII Compilation franchise, and hopefully they’ll announce all of the characters(Cloud, AVALANCHE, Shelke, Elfe, Rufus, the Turks-including the BC Turks-, Zack, Aerith, and Angeal) in the future game as they either fight against Genesis and Weiss(Sephiroth had his shot), or face a new threat that connects to the mysterious Goddess and/or the WEAPONS. Sure it’ll probably never happen, but after seeing Reno in Theatryhm Final Fantasy Curtain Call(with Zack, Yuffie and Barret with Cloud, Tifa and Aerith), and now this cool game, it’s nice to dream. That would be a nice change for once; more Final Fantasy VII games and hopefully they’ll continue the Compilation and not just do the remake. On the other hand, it’s all up to Final Fantasy XV to decide the fate of the Final Fantasy future now, or all the other games are ancient history. They won’t continue the compilation. They too busy with FFXV and KH3, and both games will end up coming out in 2017, and we’ll only get just more mini-games from Final Fantasy VII, because Square Enix secretly decided to call it quits and shelved the Compilation, waiting for the right time to say, “Despite the ideas, it’s announced that the team have cancelled future titles for the series, and left as a cliffhanger, the mystery behind Genesis’ return left to fan’s imaginations.” and they’ll just continue the compilation of FFXIII and games related to it. So, expect serious and heartbreaking disappointment, because the Compilation of Final Fantasy VII might as well just be shelved earlier than the 20th anniverasy date, because let’s face it, it’s cancelled. 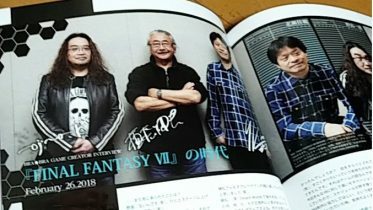 More information is comfirmed that Nomura is busy with many projects until 2019, and Final Fantasy VII Compilation future titles are not on the list. They already shelved the series after deciding to just make mobile games from the original game, and KH3 will be out in 2018, so, next year, 2016 and 2017 are officially no Kingdom Hearts games years. WHY!? Why did you have to do this Square Enix!? Why do you always have to break your promises on the games that are most famoused at and just stick to the stupid promises on the most suckiest games!? I’m not blaming any of you guys, I’m blaming Square Enix and all of the people there. I’m terribly sorry for my outburst. I have a serious problem in controlling my emotions. I just hate people breaking promises, and, well, as you guys already know, I’m a Final Fantasy VII Compilation fan, and like many others, Reno is my favorite Turk, Vincent is my second, and ect. I just wish that Square Enix would continue the Compilation, but I really should just stop right now. Anyway, I’m very, very, very, VERY sorry. 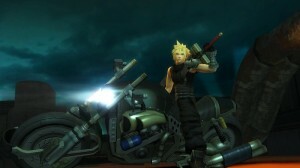 Final Fantasy VII G-Bike is out this Thursday in Japan! I just found out early today. For once some good news despite that my life is turning into the UnderWorld, with my mother AND my older sister being hospitalized. 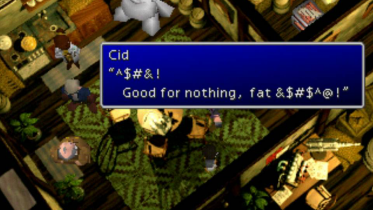 It’s comfirmed that all of AVALANCHE can be used as limit breaks in Final Fantasy VII G-Bike, because I noticed an image of Cid in the game, along with Tifa. Once you pass certain levels(well, maybe all of them) then you can unlock Cloud’s friends-first off is Tifa, and I think Barret’s next, then Nanaki, then Cid, and then Yuffie and Vincent Valentine. Pity that they won’t put in the Turks(like Reno, Rude, Tseng and Elena), otherwise it’d be soo cool! Bahamut is added as a boss in the game too! I think that boss battle is my favorite because it looks so cool! Can’t wait to see Vincent and Yuffie in it too! This doesn’t make any sense. We all know that the Jump Festa is next month, but Final Fantasy VII G-Bike is already out to download since last month, so why are they showcasing it in this year’s Jump Festa event? Is it for the english version or what? Reno’s also in G-Bike as a boss! I was stunned to see him in it! I didn’t expect it! Best thing I’ve seen ALL day, since my day today was sucky from morning until night-time…literally. First had to handle something that’ll make me uncomfortable for a while, and on top of that, for the entire day, thunderstorms(though, where I live, it only happens in summer, and it isn’t that bad-just heavy rain, and some hailstones, which in my hometown, are very tiny at the size of a tiny rock,) and, yeah. Seeing my favorite Turk in G-Bike makes me feel a bit better. Never would I have seen him on a motor-bike. Wonder if they’ll use that kind of thing for the next sequal of Final Fantasy VII? Heh, I wouldn’t be surprised if Reno was really the one who have driven Cloud’s Fenrir back to Tifa’s place in Edge in the movie Advent Children/Complete. I prefer him being a helicopter pilot, though. But it was awesome none the less! Wonder how Vincent’s attack will be when he’s used a limit form? Type-1 Final Fantasy is confirmed to be in development, which means that Square Enix has definately cancelled future titles for Compilation of Final Fantasy VII in silence, which, I think is so unfair. Here’s what I think about games and sequels and no sequels. 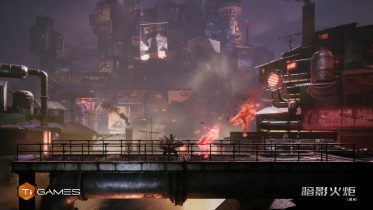 Catergory 1: Games that DO need sequels. 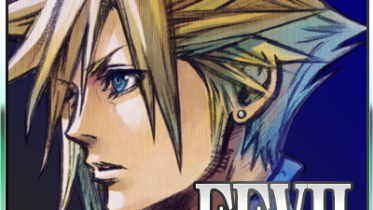 #1: Top of the list-Final Fantasy VII Compilation. The secret ending to Dirge of Cerberus Final Fantasy VII NEEDS to be solved, because from what I understand, Genesis at first declined Weiss and Nero’s offer to join Deepground and went to sleep, possibly around Zack’s death. Then, after Vincent destroyed Omega and killed Weiss(and Nero inside him), not long after that, Genesis reawakens with this new kind of hypotised look, and even called Weiss his brother, which he never had done to Angeal in Crisis Core, and he really just wanted to be cured and destroy ShinRa. Now, despite that, that gorgeus goddess(can’t remember her name) has given Genesis a second chance, I think that Nero has somehow survived again and has taken over Genesis’ body which is slowly taking over his mind with his abilities, while Genesis, within his mind and heart, wants to protect the world from this new threat, as well as another possible new threat in the future, and Cloud may remember him which will cause problems, and he’ll even(reculently) ask Rufus and the Turks for some help and information. Besides, I hate cliff-hangers. #2: Kingdom Hearts series. Just because Xehanort will meet his ultimate end in Kingdom Hearts 3, doesn’t mean that the series should end this way with Sora and gang leaving off. I think they should create a new story-line with new problems, and that Sora, Riku, Kairi, King Mickey, Donald, Goofy, Roxas, Xion, Namine, Lea/Axel, Isa(I like his somebody much better than Saix), Aqua, Terra and Ventus should solve this problem. Maybe Marluxia’s somebody could be the new true antagonist since his nobody tried to over-throw Xemnas(aka: Xehanort). #3: Final Fantasy VII and Final Fantasy X crossover. At first, years ago, I thought this was incredibly stupid, which, in a way, kinda still is, but then I thought to myself, after seeing Yunalesca in her giant-head form, and gazing at Jenvoa in Advent Children, I suddenly realised that they both share a strong resemblence in the hair and faces, and asked, “Jenova is Yunalesca who’s gone mad?” and really, what if, after in the audio drama of Final Fantasy X, of the dead, including Sin, returning to life, and how Sephiroth always comes back to life in Final Fantasy VII, it was actually Yunalesca within the the Farplane was the one who ordered this because she hated the idea of the Eternal Calm and in the end, caused Spira’s humanity(including ShinRa’s descenends) to Gaia and merged with the Lifestream, though she followed them to destroy all life at her own pleasure to end humanity? Well, as one would say, Cosmos is always a target for dark forces, like Chaos. #4: Chaos Rings 3. I know that the company only publish this series, but hey, I like it. First off, they need to translate the fourth game(titled as Chaos Rings 3, because the second one is a prequel, “Chaos Rings Omega” to the first game), and that they should make a sequel to this game in storywise, because the ending of the game left me confused, like one of the dead bad guys suddenly opening his eyes in a floating mist that resembled the Lifestream, and that other guy in the suit(who kinda resembles to Tseng of the Turks) saying something that I couldn’t understand in Japanese. Catergory 2: Games that DON’T need sequels. #1: Final Fantasy XIII series. Personally, we don’t need to expand this stupid series or see any more of Lightning. The trilogy is just like one great big adventure book that is just once in a lifetime kind of thing, and the last game of the series, “Lightning Returns” shows that everything is peaceful and we all know what happened; Humanity was reborn and everyone is living a normal life now, so, there’s no need to continue it. It’s a good ending and this one should now be left all alone for good. #2: Final Fantasy Type-0. It’s another one of those games that doesn’t need to expand. The prequel makes much more sense, because we get an idea on how it came to pass. For the original game, everything is alright and the war is over, and that years of peace has finally happened, especially after both Machina and Rem both die of old age, and an alternate ending which the war never happened is good too. There’s no need to continue one, yet for some stupid reason, there’s going to be a sequel, which, I think is a waste of money and a complete waste of time. 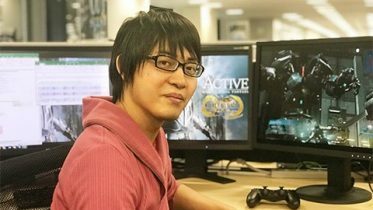 Tabata should focus on the more important and wanted games, like a complete remake of Before Crisis-Final Fantasy VII, and a HD treatment for Crisis Core and Dirge of Cerberus. #3: Final Fantasy VIII. It’s a good game, yeah, and the action scenes are awesome, but I can’t see Squall and his team saving the world again from another threat, because there’s really no need. It’s one of those games that, it has a good ending, everyone knows what happens, everyone in the game gets a happy ending, and life continues on normally. It’s a stand-alone game as far as I can tell, like Final Fantasy 1,2,3,5 & 6. Final Fantasy 4 has it’s own two sequels, like it’s own trilogy and that’s enough as well. #4: Final Fantasy IX. Same reason as VIII. I figured that Kuja died while protecting Zidane who reuights with Garnet and most of their friends(I think Vivi died after having several of his sons who attended to Garnet’s birthday in his place), the Kingdom was rebuilt to it’s original state, and again, happy ending to almost everyone. There’s no need to make a sequel for this game either, and I like it the way it is. #5: Final Fantasy XII. It’s another one of those stand-alone games, and that the DS sequel(Wings of something) was a complete waste of time. Catergory 3: Games that need to be translated in english and/or remade. #1: Before Crisis-Final Fantasy VII. This game needs to have an english release date as well as a full 3D render remake for PS Vita or PS4, not on 3DS. I’ve always wanted to see the Turks into full action, and I wanna see/play the special episodes of Tseng, Reno and Legend, since they’re such good storylines. Plus, Kingdom Hearts Coded got remade twice in a row. #2: Chaos Rings 3. The only Chaos Rings title that isn’t translated into English that needs to be translated, since it’s my favorite Chaos Rings game out of the series. #3: Final Fantasy VII: G-Bike. It’s a fun game and I think it should be translated into english as well. I even told Square Enix on the survey they put up that I wanted a sequel to Dirge of Cerberus Final Fantasy VII. One would think that they’d get my message, but instead, they do the complete and total opposite of what I want. I even told them that the graphics of the games and the storylines of the Compilaion are amazing.